I know Vogue’s 73 Questions series is simply part of a big publicity push for a film, an actor and yes, the magazine itself, but they are so much fun and done so very well, that I just can’t help loving them. For a start, while they make excellent use of a star’s ability to act out a script as if it’s the most natural thing in the world – that is their job after all – they routinely pick people with vibrant personalities who make the concept fly far beyond the bare bones idea of having them bring what is essentially a short film to life. 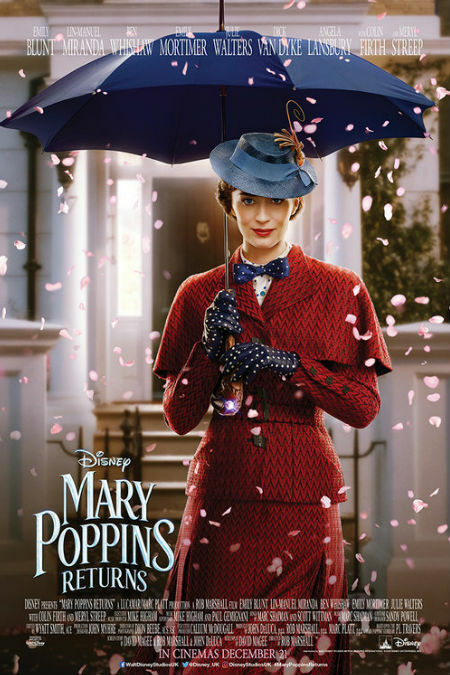 Take the wonderful Emily Blunt, late of The Quiet Place and soon to star in the diagrammatically-opposite Mary Poppins Returns, which looks like a delightful sequel 54 years in the making, who absolutely smash it home in a delightful performance that must have been rehearsed to within an inch of its life but which nonetheless feels warmly-authentic and delightful. If every piece of movie promotion could be like this, then weathering the hype for the average big film, or any film for that matter, would be a real pleasure. Until that happens, at least we have “73 Questions with Emily Blunt”, which will, trust me on this, be one of the high points of your week and a lovely rest stop on the way to Disney’s next big blockbuster.